Senior Andre Tulloch speaks at a Minority Scholars event. He was just awarded the prestigious Posse Scholarship. 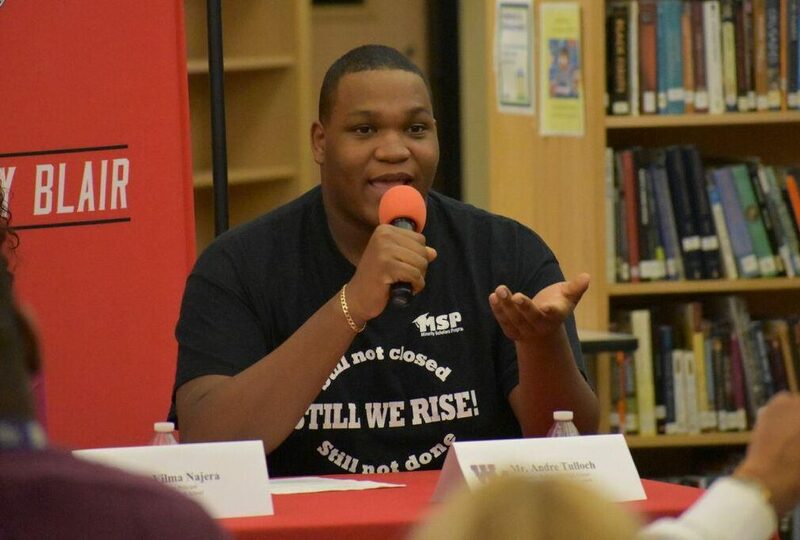 Senior Andre Tulloch was awarded a full ride scholarship to a prestigious partner university of his choice by the Posse Foundation this November after a three step election process. Tulloch started his application process with a nomination from school during the summer for the internationally-accredited scholarship. He was then interviewed multiple times by officials from the Posse Foundation, who recruit from different ten cities in the United States, including DC. The Posse Foundation is a nonprofit organization which recruits diverse high school students with proficient leadership skills. They are partnered with 57 colleges and universities to provide scholars with internship and job opportunities throughout their scholastic careers. “I spent my summer doing grassroots legislation and teaching courses on understanding the perspectives of minority students,” Tulloch said, who is also SGA President and a founding member of the Gentlemen of Excellence club. Tulloch is currently an IB Medical Careers Program student enrolled in majority IB and AP classes. He is also a part of multiple extracurricular activities, including the Liaison for Minority Scholars Program in which he represents minority students from over 40 schools in Montgomery County. “Raw determination to succeed was very important in my process as a whole. My father passed when I was younger and my family has been low income in the past and I used these experiences to fuel my dedication,” Tulloch added. He advised students to start their application process early to enhance the quality of their applications and to be themselves to ensure their acceptance into the best school for them. Though his choice is not confirmed yet, Tulloch is currently leaning towards attending the University of Rochester. 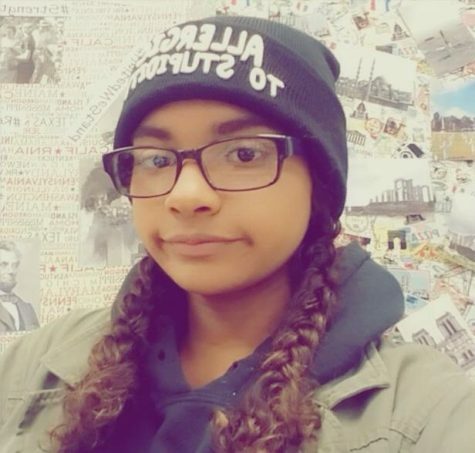 Tulloch plans to major in Public Health and International Relations. “I hope to become a surgeon, or have something to do with international affairs, but whatever career I chose, I want to travel a lot,” Tulloch added. “I will definitely miss the bonds and friends that I have made. But most of all, I will miss the feeling of being near one of the most diverse places in America. I have learned so much from the cultures and resources that I have had around me and will never take it for granted,” Tulloch added.